1930's chimney restoration. 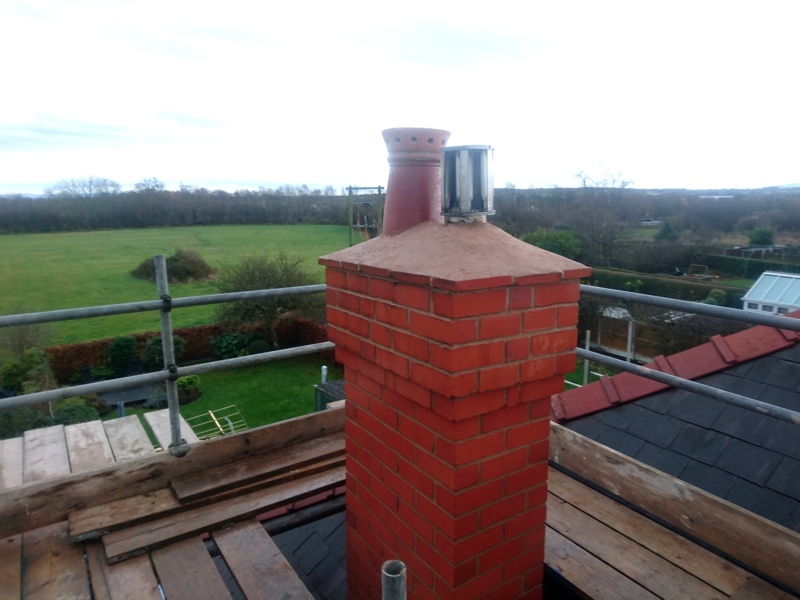 The works included chimney flaunching replacement as the old one was cracked and damaged together with the removal of old cement mortar, replaced with a lime mortar. It is difficult to determine the state of a chimney from the ground and they can be in a much worse state than they appear once inspected at roof level. 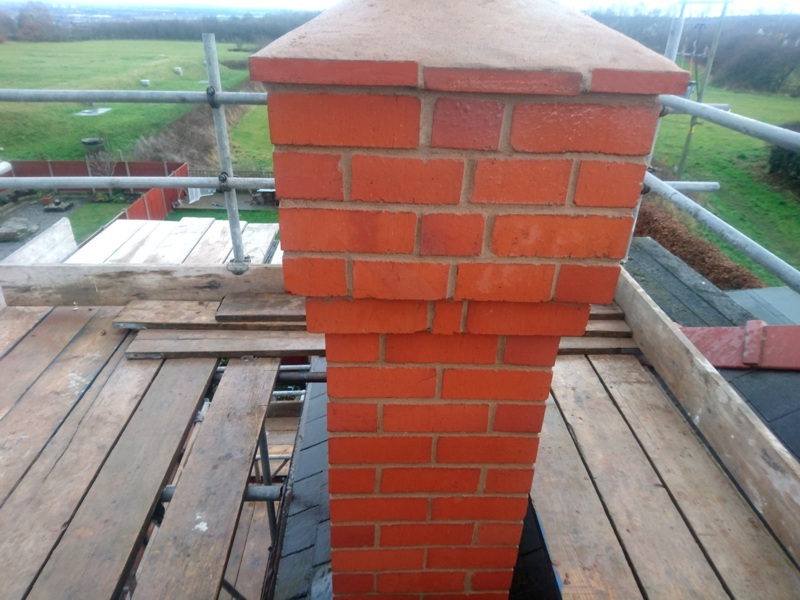 Regular inspections are therefore imperative, a chimney specialist can check for any signs of wear and tear before they develop into a serious and costly problem. Neglected chimney's are a real hazard can be a danger to people as well as your property. 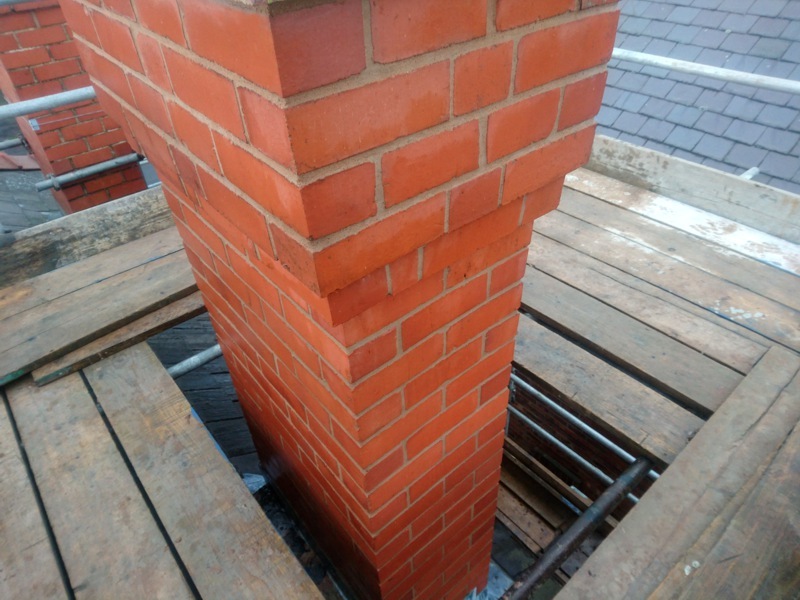 GMT Pointing Specialists are specialists in such matters and can offer a survey and free quotation upon request, telephone 01244 550359 to arrange.